MAFS' Cam and Jules speak about Cam's horrific childhood injury. 1. “I’m meant to be 6’4.” The rugby accident that stunted Married at First Sight Cam’s growth. 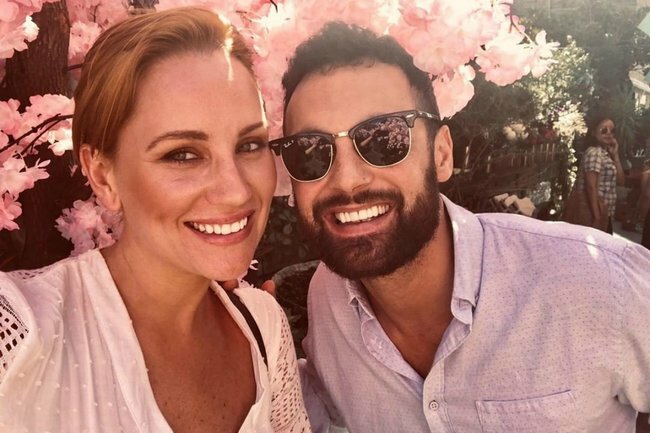 One half of our favourite loved-up MAFS couple, Cam Merchant, has shared a devastating story from his youth which affected his growth. The former cricketer revealed to wife Jules that he was injured playing rugby at 13, leaving one side of his leg completely shattered. His extensive injuries &apos;stunted his growth&apos;, and the now 34-year-old says he was actually supposed to be 6 foot and 4 inches tall. Speaking with New Idea, Jules recalled the details of the accident Cam had shared with her. "He was in hospital for six months. He shattered all one side of his leg and has one leg a lot shorter than the other, and has to wear insoles," the 36-year-old explained. Jules added that she regrets saying she wanted a tall husband prior to meeting and marrying Cam on the show. "I felt so bad, because obviously I made this big song and dance about wanting a giant," she said. Ah, these two are just the cutest. 2. Kylie Jenner has zero time for your questions about the dark splotches on her wall. Um. Kylie Jenner has accidentally shared a part of her life that is... not glamorous. The self-made billionaire had been questioned about the dark patches on her walls repeatedly, so she decided to explain them to her fans on Instagram. The 21-year-old revealed that the spots are just part of her wallpaper and no... Kylie that is... definitely mould. The questions re-emerged after the youngest of the Kardashian-Jenner family posted a throwback that showed off the "wallpaper". In the video on her Instagram story, the entrepreneur explains that the blotches are rose gold, not black as they appear, and they appear to shimmer with the flash of the camera. "For those who always ask, it&apos;s a wallpaper, and it&apos;s like rose gold splatters all over my walls," she explained in the video. "So, I don&apos;t ever want to see this f***ing question again," she joked. We... still think it&apos;s mould. But okay. 3. 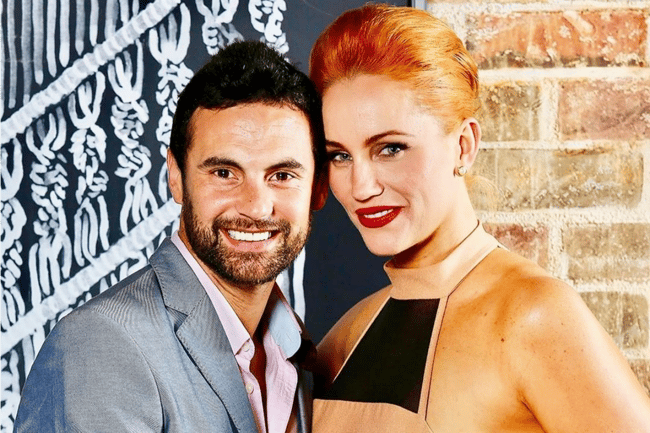 “It won’t last.” MAFS’ Tamara unleashes on Jessika and Dan’s affair on MAFS. Dan and Jessika&apos;s secret MAFS love affair could be coming to an end, with reports from Tamara suggesting it doesn&apos;t last. "It won&apos;t last, mark my words," 29-year-old partner Tamara told TV Week, adding that watching the affair makes her "sick to the stomach". While 35-year-old Dan and 26-year-old Jess haven&apos;t told their partners about their cheating on the show, Dan&apos;s partner Tamara has opened up about how the affair has affected her now that filming has ended. She explained in the interview that she believed their behaviour to be "disgusting" and "disrespectful", and that it was hard to watch. "I&apos;m a strong enough person to know my worth and it&apos;s not something I want to be a part of," she added. The Melbourne based reality star further explained that she had a gut feeling that Dan was cheating on her, and that he "would tell [her] how beautiful [she] was" before telling others she was really difficult to talk to behind her back. The confession follows ~sightings~ of Tamara with Mick (who is Jessika&apos;s TV husband... confusing, we know) on an evening out. The photos are from her 30th birthday celebration in Melbourne over the weekend (which have been published here by the Daily Mail) and show the pair looking pretty friendly as Mick walks down the street with an arm around Tamara as she holds his hand. Nothing tastes sweeter than revenge. 4. Why Nicole Kidman abruptly ended her interview with Kyle and Jackie O. Things got very awkward between Nicole Kidman and Kyle and Jackie O this morning. Speaking to the radio hosts about her new film Destroyer, Nicole abruptly ended the interview when Jackie O asked about the actress&apos; physical transformation for the film role. "I watched Destroyer; I loved it. You&apos;re not afraid to... what&apos;s the best way to describe it... get yourself &apos;uglied up&apos; for a role," Jackie O said. "Umm, I suppose it&apos;s not, I mean, I see it as necessary for the character to be authentic," Nicole responded unenthusiastically. Things then proceeded to get even more awkward when Jackie O questioned Nicole about her favourite wigs. "I think a guy asked you about this at a press conference, it did make me wonder, what is your favourite wig, because for me, it is the Celeste wig. Such an amazing wig," Jackie O said. “Well, I’m using my own hair now, so I think that’s probably my favourite, is my own hair,” Kidman responded. Before Jackie O asked another question, Kidman abruptly cut the segment short. "Anyway, I’ve gotta go, because they’re waiting at the other radio station, which I’d better not say on your show," Nicole said. 5. &apos;She wasn&apos;t thrilled.&apos; Matty J made a big decision about Laura Byrne&apos;s birth... without asking her. It seems former Bachelor and father to be, Matty J may have just overstepped the mark when it comes to his pregnant partner Laura Byrne’s birthing plan. Speaking on Nova96.9’s radio show Matt, Sarah & Matty J on Saturday morning, Matty J explained that he agreed for his mother to be in the delivery room when his partner Laura Byrne gives birth… without actually asking her first. “When I asked Laura I did feel strange asking her and I almost made the decision for her. My mum has asked that she be in the room when Laura gives birth. 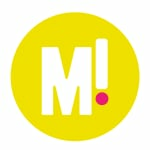 My mum has put her hand up very quick smart, hey just saying, I’d really like to be there,” he said. Check out our full post from earlier here.